Whew! We made it through the first 2 days! It was great! We spent a lot of tome getting to know the therapists and the therapists getting to know Makenzie. They are all very nice. Makenzie did GREAT! She has been such a happy girl and has tolerated just about everything that they have thrown her way! I am so proud of her!!! She has been sleeping great too! Yeah God! I was very worried about that because it seems like that is the big thing that affects her when we change anything and has been one of the biggest challenges of her recovery! She was doing so well with that at home befor we left and coming to Florida dosen't seem to have effected her sleep patterens at ALL! I am so happy because this means healing! How and when you sleep is another thing most people don'e realize is also controlled by the brain! Yesterday I took Makenzie to the beach! We had so much fun. I brought her not knowing if we were just going to look at the ocean or wade in it. Well we left the beach sandy and very WET! She loved it! I took her down and put her feet in the surf and everytime it came up and splashe on her feet she laughed! She dug her toes into the sand and then lifted them out! If a wave didn't come fast enough she would take a step forward. Before I knew it she was waist deep! She also sat in the sand and let the waves spash over her. She was so happy! Mommy trudged back to the car in her wet jeans and Kenzie sporting nothing but a shirt to wash off with a bottle of water! It was pretty funny! I started to feel a bit anxious about how we were going to clean up and get in the car with out making a huge mess everywhere and without Makenzie getting sand in her mouth. She loves to put her hands in her mouth and they were covered! That soon past when I realized that I have conquered so many more challenging trials over the last year!!! We made it home and strait into the shower we went! Today ws fairly uneventful. We went to therapy and came home took a nap and then a walk. Washed some bottles, Did some laundry. Took a shower and into to bed! Please keep praying! 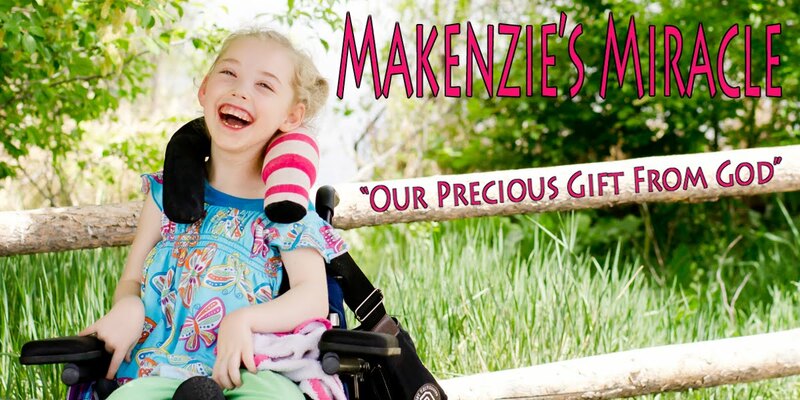 Makenzie is doing so well and we are so proud of her! She is a fighter! Her smile is enough to light up the world and she is toucing so many hearst! I am so honored to be her Mommy! Thank You Jesus for the Belssings of my children!! !